Deer are the principle cause of an estimated 30 million dollars a year in crop damage in North Carolina. Deer are especially prevalent in our heavily agricultural counties to the north and west of Lake Norman. Under a depredation permit, farmers are allowed to reduce herds by as many deer as they choose on lands that they own or lease for growing crops. But these permits are only valid during the warm Spring and Summer crop growing seasons, when the combination of temperature, transportation, and lack of seasonal processors renders most of the venison unfit for consumption. 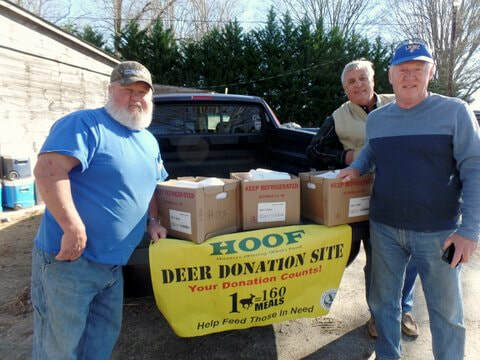 Under a NC WRC program, hunters may take those same antlerless deer during the Fall hunting season and donate them for food distribution to individuals and families in need. 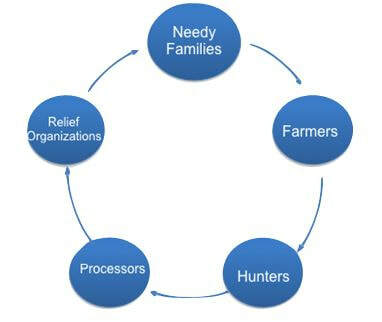 During deer hunting season, we accept deer donations to a processing facility where it will be processed and packaged. 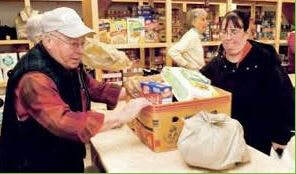 LNWC volunteers will pick up the venison for distribution to partner agencies across the four county service area. This venison will provide a nutritious source of protein to families facing food insecurity, while helping farmers manage deer. "All of these food pantries have staples, but the one thing they don't have is fresh meat"
"Herds are healthier if their numbers are reduced by 1/3 annually"
From NC 150 West – Turn left onto E. Maiden Rd. Turn right onto S. Olivers Crossroad. Turn left onto Joe Crouse Rd. Fat Mike’s on right. From Hwy 321 South – Exit right at Startown Rd. exit then turn left onto Startown. Turn right onto W. Maiden Rd. Proceed through Maiden onto E. Maiden Rd. Turn left onto Laney Rd. Turn right onto Joe Crouse Rd. Fat Mike’s on left. From NC 16 South- Turn right onto Buffalo Shoals Rd. (at IGA Grocery), Turn left onto S Olivers Crossroad. Turn right onto Joe Crouse Rd. Fat Mike’s on right. From NC 150 west – Turn right on Hwy. 27, in 0.3 mi. turn left on Salem Church Rd. B&B 1.6 mi. on left. From Hwy. 321 south – Exit left onto Hwy 27, in 1.3 mi. turn right on Salem Church Rd., B&B 1.6 mi. on left.